Where’s My 2012 Federal Tax Refund? 1. 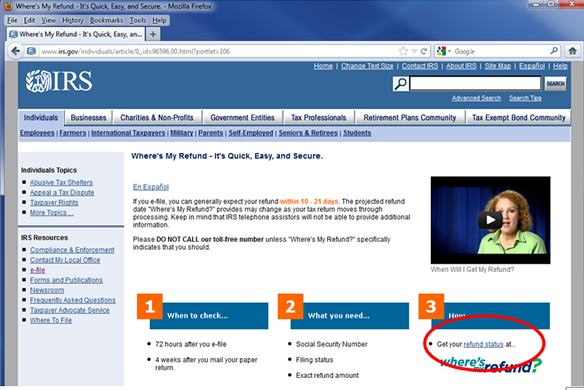 Go to irs.gov and click on “Where’s my refund” under “Filing & Payment” tab. 2. You will be directed to the next page that lists documents necessary to check the status – have the documents mentioned in # 2 ready and click on “refund status”. 3. 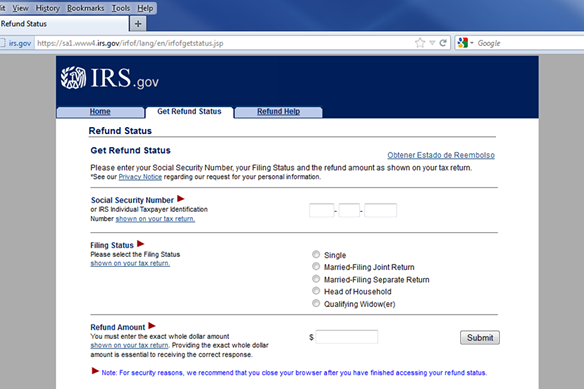 Refund status – Finally enter the required information: social security number, filing status, and refund amount you’re expecting, then click on “Submit”.